Home Windows Why does Windows show less than 4GB of RAM? The answer is simple, when your computer has Windows 8 or any other version installed and it’s x86 based (32-bit system), your computer will often show less than 4GB of RAM installed. 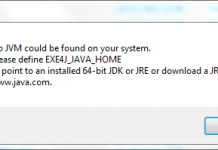 It’s due to windows 32-bit system limitations as it only recognizes up to 4GB of RAM. A 64-bit windows can address up to almost unlimited GB of RAM, surprised eh? On a computer running any x86 based Windows, the system can only handle up to 4GB RAM. For instance, a 32-bit Windows 8 may report only 3GB usable memory on a PC that has 4GB RAM installed. Why this limitation happens because every byte of RAM needs their own address and Windows is designed in that way for a particular processor that limits the length of those addresses. This is however doesn’t happen on x64 based (64-bit system) Windows. Sometimes if your Windows is x64 and it shows more than 3GB RAM (something like 3.75GB or similar), then remaining part of the memory is reserved by your motherboard for other purposes such as for graphics memory, system BIOS. This is usually seen in laptops. Your graphics card is the biggest cause as it requires an on-board memory which is shared from RAM itself. It also applies to a PC having 8GB RAM. It will show around 7.1 GB usable system memory. 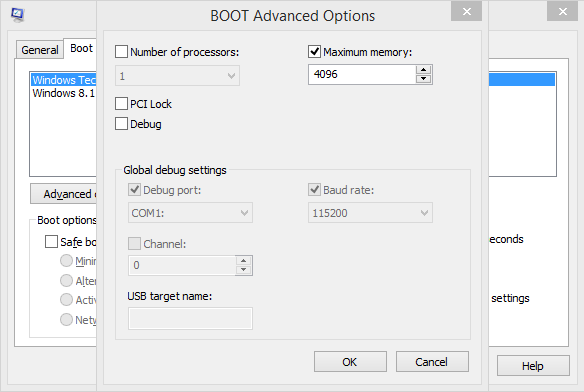 So you won’t get exact full memory unless your motherboard BIOS has the settings to make changes to it. Note: the volume memory is used as an example and the values aren’t exact. You can apply either one or both. Solution 1 (Recommended) – To show 4GB full memory in your system properties, you will simply need a different Windows that is x64 based (64-bit Windows) and installed on your machine, either it is a laptop or a desktop. The reason why I said different is because not all of you have received a copy of Windows DVD that is capable of choosing x64 system when you install. Some computers will still show slightly less amount of RAM, so don’t panic. It is reserved for a good use. 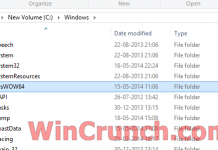 Press Windows Key + R and type “msconfig” without quotes, press Enter. You will see a window popup on your screen. 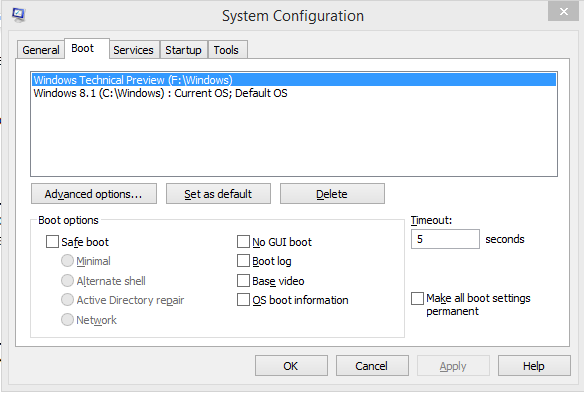 Select ‘boot’ tab on top and click ‘Advanced Options’. Check the box that says ‘Maximum memory’. Click OK and restart. Now check your system properties if your computer is showing a full 4GB of RAM. 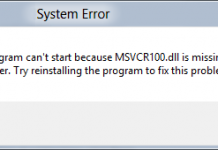 Next articleHow to Fix MSVCR110.dll missing error?